"But many product innovators are finding entirely new ways leverage ESG. The green bond and climate bond revolution, for example, would not have caught fire without the underlying data—and we have the Climate Bond Initiative actively setting best practices. 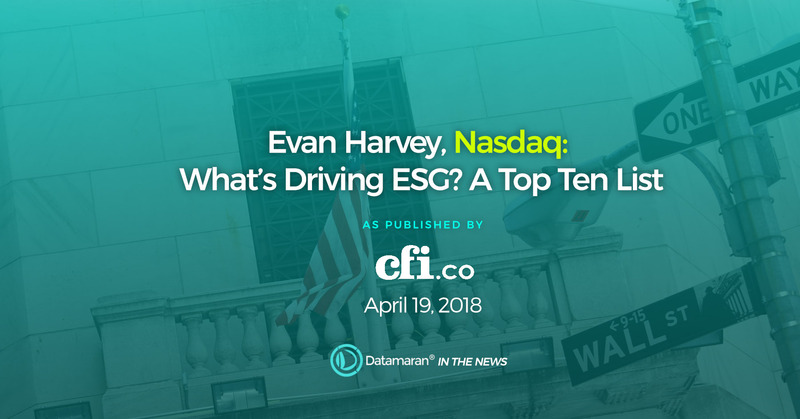 Datamaran, an AI-driven “non-financial risk management” tool, uses sophisticated analytics to search and benchmark ESG data signals, among other things."